Little Angels provides an ‘Outstanding’ level of care for children from 3 months to 12 years. Situated within the beautiful village of Rackenford, Little Angels is a nursery with a ‘homely’ environment. Providing wrap-around childcare for the local village primary school. 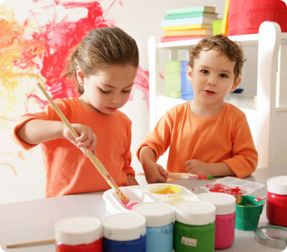 "How well the early years provision meets the needs of the range of children who attend. This is outstanding." "The contribution of the early years provision to the well-being of children is outstanding." "The effectiveness of the leadership and management of the early years provision is outstanding." Safeguarding is one of our highest priorities at Little Angels. Please find here our full Safeguarding Policy. If you have any questions regarding this and any of our associated policies, do not hesitate to ask. To dear Nickki and her amazing team! Congratulations on your Ofsted report. You all deserve it because you are truly OUTSTANDING!